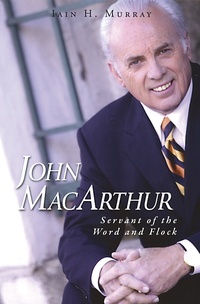 Through more than forty years, John MacArthur has opened and taught the Word of God in one local congregation, Grace Community Church, Los Angeles. Consequences have followed which no one anticipated, and which the preacher attributes to ‘the sovereign hand of God’. A people united to Christ, and to their pastor, became a channel for blessing across the earth. It has been a ministry marked by characteristics that re-appear in every spiritual advance – not concern for ‘relevance’; not special attractions for young or old, male or female; but love for God and dependence on his Word and promises. MacArthur has proved, without ever intending to do so, that true preaching of the Word of God is international, ‘because if you teach the Bible it transcends every border, every language, every culture. It is as relevant today, and will be tomorrow, as in all the years since God put it down.’ That is why his sermons are heard or read in more than two hundred countries around the world today.